First of all, let me just say that I didn’t spend a night in camp. Wednesday, October 28th 2015 was my day 1 at camp. I registered, got my uniform and by 6pm I bounced (after much struggle.) Tuesday, November 3rd 2015 was my day 2 at camp. I came back to tie up some loose ends, but could not get everything sorted out. So I stayed in a hotel and returned on Thursday, November 5th 2015 (day 3 at camp) and was able to wrap everything up before heading back home. Regardless, I’ve detailed my registration experience below and some of my thoughts on the entire process. 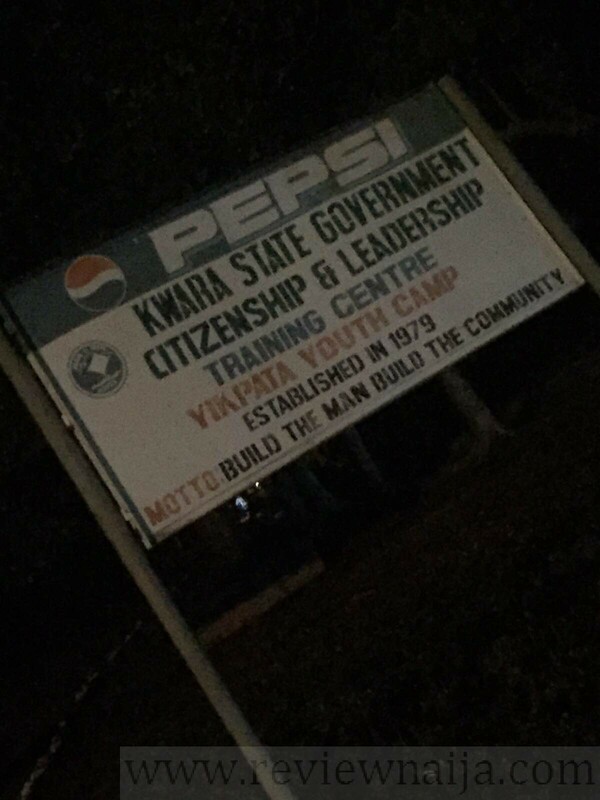 Being that I reside I lagos, I was a little disappointed to be posted to Kwara State for NYSC. The road trip from Lagos to Kwara took about five hours. Funny enough, I used google maps from Lagos to Kwara because my driver is an ajebutter and a JJC outside of Lagos. The roads were reasonably good. The route is Lagos -> Ogun -> Ibadan -> Oyo -> Ogbonosho -> Ilorin -> Yikpata. The Lagos – Ibadan expressway is pretty bad, especially on the side coming back to Lagos. There is extensive construction going on there. The road from Ilorin to Yikpata is 80% good with a few rough patches. It takes about 4hrs 30min from Lagos to Ilorin and 1hr 20min from Ilorin to Yikpata. I spent the night in a hotel in Ilorin before I went to the Yikpata camp. The camp is about 90 minutes from town and is in the middle of nowhere. My plan was to arrive camp around 7AM the following morning, which I did, but there were still like 100 people ahead of me! On the long registration line, soldiers repeatedly asked us to squat and carry our luggage on our heads. It’s their way of hazing you and welcoming you to camp. It took about two hours to get to the front of the line. Even upon entering the camp, I lined up for another 45 minutes to get assigned a room. Each room contained about 14 people; seven bunk beds arranged in a relatively tight space. After that registration was over, we then had to sit down under the sun in front of another registration hall. This was the point at which we presented our documents which we’d uploaded on the NYSC website. This process took another two hours. After presenting those documents, we were sent to ICT building. At the ICT building, I faced another long line. Being on this line would probably have taken another two hours, but luckily for me a soldier called me to the front of the line for no apparent reason. I was very grateful for this. We made copies of our university degrees and call up letters. After this they gave us a form that had our camp state code and uniform dimensions. The camp hostels had no electricity whatsoever. Only a few admin buildings had their individual small generators. There’s a huge market known as the mami market. This is the commercial center on camp. There are several vendors who offer services such as copying and printing of documents, charging stations for phones (hundreds at a time), food, drinks, alcohol, passport photo services, etc. Now the interesting part for me was getting out of camp. This was also the most challenging part. I had obtained a doctor’s letter prior to camp. In spite of this, I had to jump through so many hoops to get an exit form to leave camp. I had to get a signature from the camp clinic. The registration officers had said the clinic staff will run medical tests to verify the authenticity of the ailment my letter claimed. Clearly, they were bluffing because there was no electricity in the clinic so I wonder how they would have conducted the tests. After that, I had to meet the camp director who reluctantly signed my letter, but the ultimate challenge was getting the state coordinator to sign my exeat. On the camp premises, the state coordinator is the highest ranking official. The biggest Oga on ground. He wasn’t in the midst of the whole registration activity. He was hidden away in his quarters, which was about a kilometer away from everybody. I was told the only way I could get an exit form was with his approval. I had to walk to find which bungalow was his and then beg him to let me go on my health grounds. Luckily for me, I was successful. Another issue I faced had to do with my status as a foreign-trained student. My registration was only tentatively verified because personnel from NYSC HQ in Abuja had to verify my certificates and travel documents to confirm that I indeed studied abroad. In the past, foreign trained students travelled to Abuja to verify their certificates and student visas before camp. Now, NYSC reps come from Abuja to different camps to verify foreign students. I was told to return to Kwara on Monday, November 2nd as the HQ reps would be coming to camp on Tuesday, November 3rd. On Tuesday, I returned to camp and filed my redeployment application, signed book of life and the certificate form. However, the foreign student verification reps didn’t show up. This meant I had to stay in Kwara much longer than I’d intended. The reps finally showed up on Thursday, November 5th. The HQ reps looked at my University degree, WAEC result and copies of my passport data page and visa page. I honestly think this is a very unnecessary administrative bottleneck. Some of my friends had to wait an extra week in Kwara just to do this verification. I ended up being verified late on Thursday night and I was back in Lagos Friday morning. In conclusion, NYSC is unnecessary to me sha but it doesn’t look like the program is going anywhere anytime soon. The facilities weren’t great. There was no light in any of the rooms and anyone that had light had a small gen. The food was good sha; there are many options to choose from in the mami market. I would suggest just bracing yourself for the worst, but if you know you don’t want to stay, prepare well in advance. Have all your documents, make 10 copies of everything and have a medical report from a government hospital in hand before you get there. If you don’t have that, or you’re not a new mom/pregnant, your chances of leaving are slim.